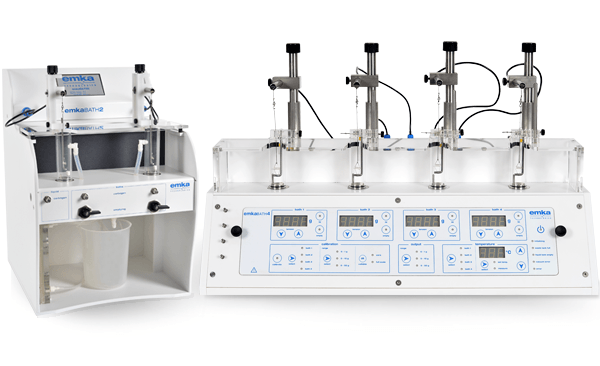 The measurement of isolated tissue contractility following drug administration is widely used in preclinical research. Studying the intrinsic ability to contact or relax in an isolated tissue bath where external influences can be removed can offer complimentary data to in vivo lung function measurements. This technique is a classic pharmacological tool that can be applied to various types of contractile tissues from different species. 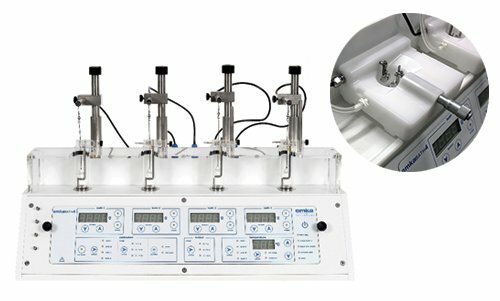 Our tissue baths systems are suitable for the study of tissue strips and vessels such as smooth muscle (aortic rings, ileum, uterine tissue, trachea, mesenteric artery, colon), cardiac muscle (atrium, ventricule, papillary muscle) and skeletal muscle (diaphragm), during drug exposure and/or electrical stimulation. Up to four emkaBATH setups can be monitored from a single interface equipped with iox2 software. Which tissues can be studied? In vitro contractility assay can be conduct on various types of tissue or microvessels. 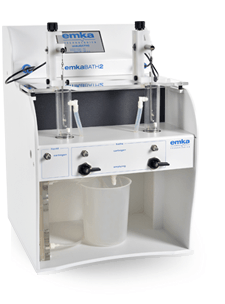 emkaBATH tissue baths setups are suitable for the study of tissue strips or muscles and vessels (int. diameter 500µm – 10 mm, max. length:40 mm). Which emkaBATH model to choose? The ability to switch from tubular to microvessel baths in a few minutes (can handle microvessels of diameter 100µm to 3 mm and up to 3.5 mm long). Download brochures below to learn more about detailed specifications. Calculated parameters generated by iox2 software can be automatically processed by datanalyst software, to provide statistics such as data group averaging, ED50…, presented in concise tabular format. But also gastrointestinal dysfunctions, hypertension, diabete, heart failure, neurotoxin studies etc.